Whenever measure is a critical issue ITEC’s product are the correct answers. For us customers are not a part of our project, customers are our project. And remember whenever service is a mandatory requirement, get it always with quality or get it with ITEC. ITEC becoming soon an European leader for quality and expertise. ITEC Srl. 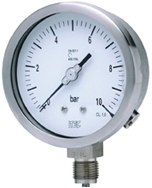 (Industria Tecnologica) as the name means was started in order to serve the Industry by manufacturing and selling the mechanical pressure and temperature gauges. The company was founded by Mr. Enzo Del-Conte in 1989 (who having almost more than 45 years experience in this field) at via Battisti in Invorio about 50 miles away from Milan, Italy and a 100% family owned company. 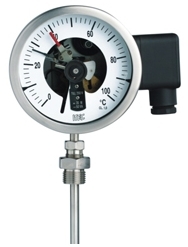 In the beginning, the manufacturing of differential pressure gauges and diaphragm seals started. These products find a greater demand and market in Oil & Gas, Chemical and Petrochemical industries as they were flourishing and expanding the operations worldwide. The stainless steel gauge, gas filled thermometers & bi-metal thermometers were added in to manufacturing in 1990s’ to enable to serve the market in a wider manner. Quality was always the key concern for ITEC and got certified for ISO 9001 in 1998. The ATEX certification as part of the product innovation and meeting the EU regulations for specific industries has done in the 2000s’. Technical expertise is always a plus point for ITEC, with Mr Del-Conte personally heading the Product Innovation Department. With sales increasing, the need to have the vendor registration with major oil & gas, Chemical & Petrochemical become a necessity, hence ITEC started the process of vendor listing with various worldwide oil & gas firms in 2000s’ and listed as well and going on as a continuous. In 2011, ITEC expanded its operation in to India with JV forming with the Bhimani family to set-up ITEC Measures Pvt. Ltd. This enabled ITEC to expand its product portfolio with TDs/Thermocouples/Thermowells, Pressure/Temperature switches and Level Switches/Instruments. The manufacturing plant is located in Vapi, Gujarat almost 150 km from heart of Mumbai. The firm as like its Italian counterpart also an ISO 9001: 2008 company. The factory set-up has a total built-up area of 25,000sqm. with most modern CNCs and testing facilities for the machining and testing of the instrument it manufacture. As part of the continuous improvement derivatives, the management of ITEC has decided in perusing the ISO 14001 & OHSAS 18001 certifications to have the Integrated Management Systems in place to comply with norms of its customers and has been received from TUV Nord in 2014. Customization is one of the principles ITEC believes in. This drives us to develop many innovative designs during our 25 years of span in the industry. Some of them are; the diaphragm seals for very low pressure applications, external zero adjustment facility in pressure, differential pressure instruments, which helps our customer the easy correction of reading in dampened gauges, differential pressure measurement up to 40 bar with single side static up to 400 bar, etc. In 1990s’ ITEC started offering the OEM services to some of the major industries across Europe; which ITEC still offer to its valued Customers, and started offering from India factory from mid of 2014. These services include tailor-made product solutions and private labeling of the standard product it manufacture. ITEC engineering teams (Italy & India) work hand-in-hand to meet the customization of the product and come out with most economic and technically compatible solution for the OEM industries, such as the bayonet type thermocouple or for the bearing temperature RTDs for the power generators or the gold plated diaphragm seals for the Petroleum industry. And in the end, as our tagline, we are ITEC…measuring with you.